Despite the benefits that unified communications (UC) can bring to your organization, it is imperative that you keep simplicity in mind – for both your IT department and your end-users. 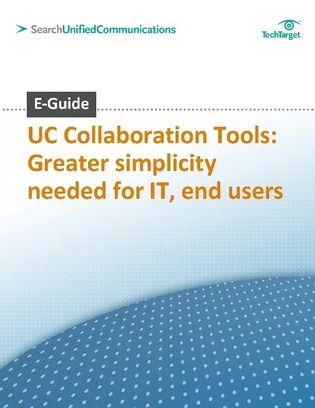 Unfortunately, if your UC strategy is too complex, it is highly unlikely to ever take flight. This expert E-Guide from SearchUnifiedCommunications.com provides best practices for integrating UC collaboration tools into your workplace, potential roadblocks you may encounter, how to avoid them, and much more!